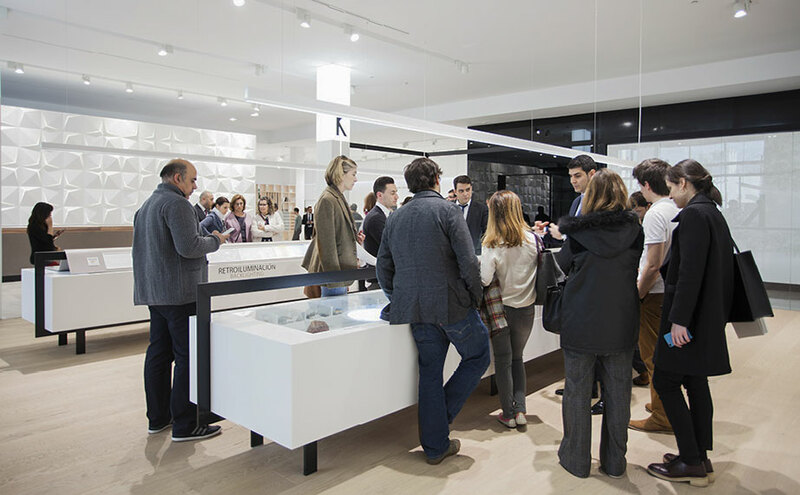 Our PORCELANOSA Group 24th Global Architecture International Exhibition had 15% more visitors than the previous edition. To achieve this success, the 8 firms opened their doors to everyone who wanted to discover our new products and concerns, the SYSTEMPOOL display being one of the essential points to visit, where the remodelled first floor with the KRION® BATH product amazed visitors with its new way of presenting the series, notably with TONO, designed by Foster & Partners, and PURE by the Valencian designers Yonoh. On the ground floor, the global innovation which will surely change our lives, K-LIFE, was the element which generated the greatest expectations. This innovation was presented through a sensory experience, which let us see the benefits of this new formulation, in which the material does not lose any of its properties, instead becoming something exceptional. This is an advantage that KRION® and PORCELANOSA Group will undertake altruistically, without increasing costs. We will soon publish news explaining how proud we are of our K-LIFE, and what it is, as it will change our lives very soon. Our visitors noted the beauty of the facade which encloses the Home and Hotel area; a modulable facade, with backlit three dimensional geometric pieces; and the new WORKSHOP which has allowed visitors to discover the new sheets and experiment with different combinations of KRION® and other materials. For everyone who could not visit our facilities, we will soon publish the 360º Virtual Visit, and the possibility of viewing it with VR glasses. For those who accompanied us at the 24th edition of our exhibition – THANKS FOR YOUR ATTENDANCE AND SEE YOU NEXT TIME!! !